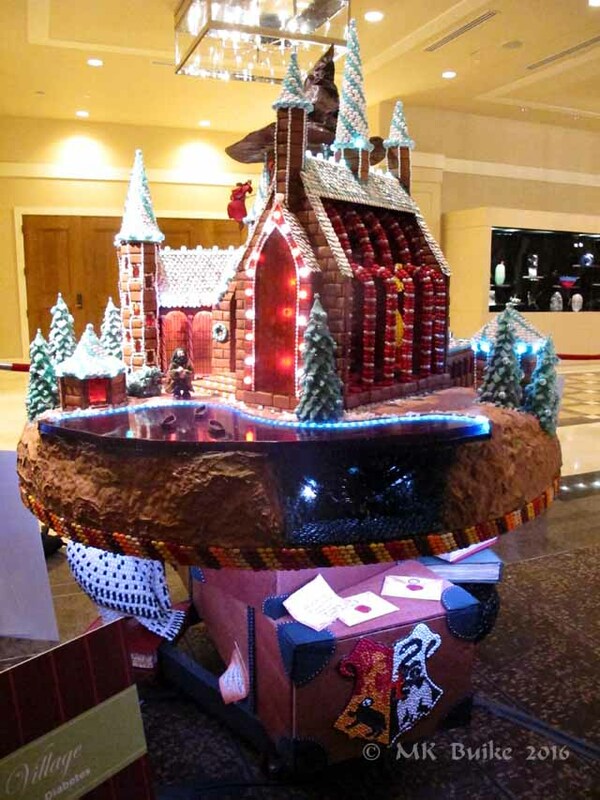 Every year since 2012 I've gone to see the Gingerbread Village hosted by Sheraton Seattle. It is a fundraiser for Juvenile Diabetes Research Fund (JDRF). Every year it is more incredible. I thought last year's Star Wars theme could not be topped. But the animation and detail in this year's creations on the theme "Celebrate the Magic of the Holidays" (which is Harry Potter) are even better! These are massive creations done in all sorts of sweets. They are designed by a team of architects and built by a Chef (probably also with a team). 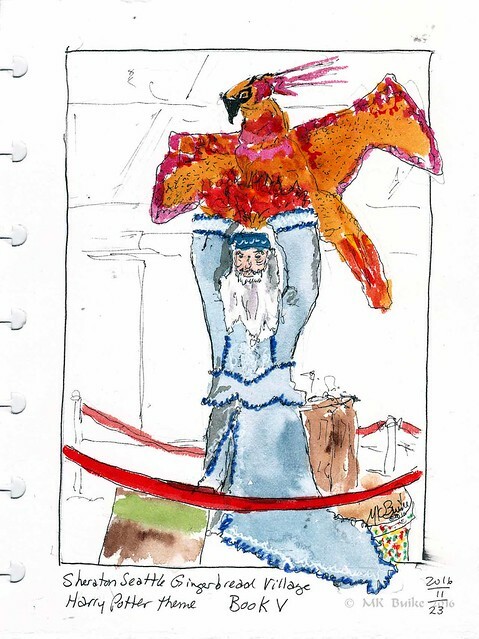 The "Friday Sketchers Ad Hoc" outings started in 2012 with our visit to this event. In recent years we have stopped going as on our usual day and time it has become a mob scene, so crowded it is impossible to sketch. Today I left before dawn at 0630 to catch the lightrail into downtown Seattle. I arrived at the Sheraton before 8 am and nearly had the exhibit to myself. After photographing all six books thoroughly, I sat down to sketch Book V. It was created by Bailly & Bailly and Chef John Armstrong.